Geneva-Paris-Stuttgart-Dublin-Brussels-Madrid-The Hague-Barcelona-Bern, 5 February 2019 – More than one year since the arbitrary detention of Marco Antonio Suástegui Muñoz and 16 other members of CECOP in the state of Guerrero, international organisations insist that any impartial analysis of the situation would require their release at a hearing, tomorrow, 6 February 2019. One year ago, on 7 January 2018, a confrontation between members of the Community Police (CRAC-PC) and armed civilians in the community of La Concepción (Guerrero) left 8 people dead. 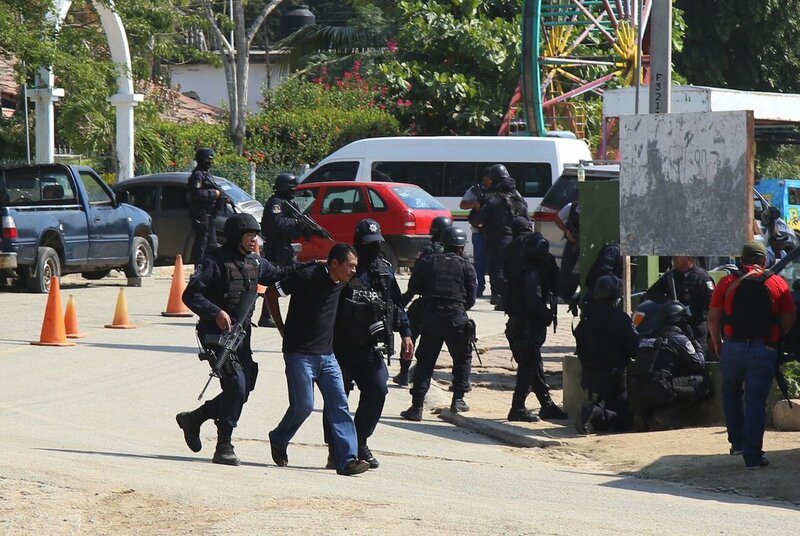 A subsequent security operation, including elements of the State and Federal Police and the Army, resulted in 3 people being extrajuducially killed and at least 25 people detained arbitrarily, most of them members of Consejo de Ejidos y Comunidades Opositoras a la presa la Parota (CECOP). The arbitrary arrests were made without warrants, which was justified by the State Attorney General on the grounds that there were weapons and drugs present. However, the initial investigation failed to substantiate these allegations and within a few hours an arrest warrant for homicide was issued. These actions demonstrate that the justice system was manipulated to detain these individuals and keep them in custody for a crime that had no legal or factual basis. In all the cases, there was ill-treatment, and in at least eight of them, torture. Additionally, lawyers and members of Centro de Derechos Humanos de la Montaña Tlachinollan were publicly defamed for legally representing the detainees. More than a year since the arbitrary detention, human rights defender Marco Antonio Suástegui Muñoz and 16 other members of CECOP and the Community Police are still deprived of their freedom. Despite evidence demonstrating that several of the detainees were not at the scene and that several of them were tortured, the judicial authorities have yet to fully evaluate the testimony of the accused, and have failed so far to investigate the acts of torture and serious human rights violations committed by the security forces. We express our grave concern that these human rights violations were committed against human rights defenders from CECOP and CRAC-PC on account of their legitimate work defending indigenous rights related to land and territory and in confrontation with a hydroelectric project that threatens the subsistence and security of the local communities. Our organisations reiterate our concern for a pattern of criminalisation in Mexico that silences the voices of human rights defenders; a pattern that has been corroborated by the UN Working Group on Arbitrary Detention. In recent years, it has issued 8 Opinions in which it declared the detention of 32 HRDs as arbitrary and demanded their immediate release. Tomorrow, 6 February, an intermediate hearing will be held in the Court of Control and Criminal Proceedings in the Judicial District of Tabares, in which evidence will be presented and the judge will determine the future of the trial. This is a critical hearing since it will be decided whether the evidence obtained under torture and other evidenced that has been discredited by the defence will be taken into account. Should the judge reject this evidence, the 17 HRDs should be released. For these reasons, our organisations demand an end to the arbitrary detention of Marco Antonio Suástegui Muñoz and the 16 other members of CECOP and the Community Police. Additionally, we demand that an independent and impartial investigation be initiated into the serious human rights violations that have been reported, including the abuse of law and the allegations of torture, ill-treatment and extrajudicial executions.